As a research cruise rookie I am just now learning about some time honored traditions. This one involves making souvenir styrofoam cups that have been to the bottom of the ocean and tell the tale in their texture and stature. 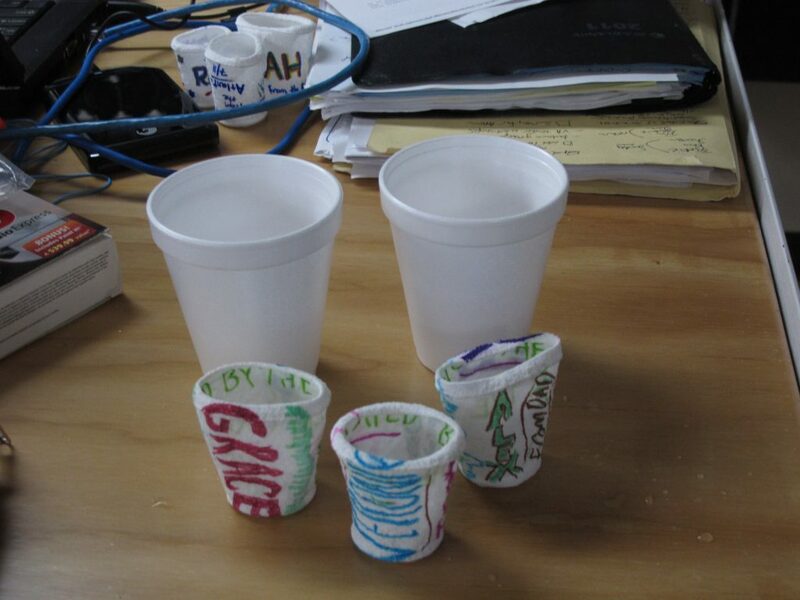 The teaser photo show some finished cups that were decorated with magic marker while in their normal state, sent to the bottom and returned with Jason/ Medea. They are placed next to some normal cups to give you a sense of what 4000 psi does to styrofoam.